As mobile carriers plan 5G rollout, some OEMs such as Samsung, LG, Vivo, and OnePlus have already announced plans to release 5G-ready devices by 2019 and Motorola has even released a 5G upgradeable smartphone. Huawei’s sub-brand Honor has also jumped the 5G bandwagon now. Knowing this brand, we are expected to see a premium 5G-fueled device that will come with a more affordable price than the competition. Speaking at the World INS Conference that took place in Beijing, China, Honor’s President Geroge Zhao confirmed that the company will launch a 5G smartphone next year. This is a big move as 5G smartphones are expected to largely remain a novelty next year. Even though Zhao didn’t delve into details, an Honor-branded 5G ready phone will make the next generation of mobile internet connectivity more accessible for people as the company makes affordable handsets. The chipmaker Qualcomm has also spurred its efforts to be at the forefront of 5G development by introducing a 5G-compatible modem, and other chip manufacturers such as Intel are expected to follow suit. Unless Honor decides to fuel its 5G smartphone with a Snapdragon SoC instead of a Huawei-built Kirin chipset, it will have to use one of ARM’s offerings. 5G will be a major upgrade over the current 4G LTE networks, allowing more bandwidth, faster speeds, and offering more network capacity. However, most 5G networks will not go live until the first quarter of 2019 and they will only be available in select markets at first. China, South Korea, and the U.S. are expected to be the first countries to offer 5G networks. 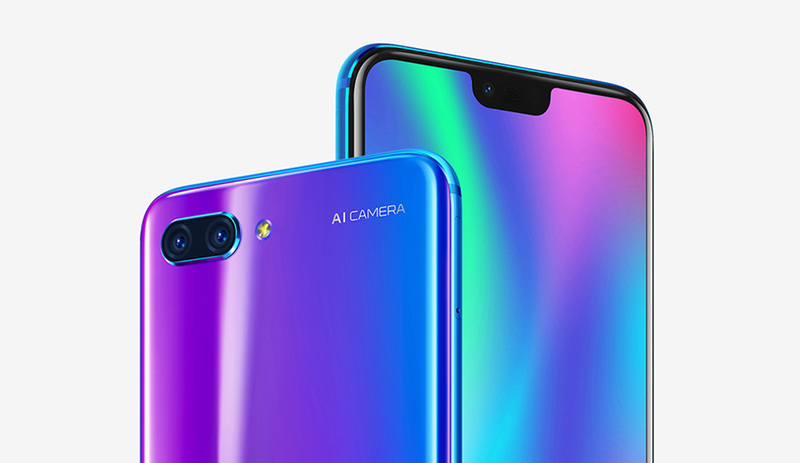 Apart from revealing the company’s plan to release a 5G ready phone, Zhao also said that Honor will continue its research and development on artificial intelligence as the arrival of 5G smartphones will coincide with the era of full-speed AI devices. The company hopes that these efforts will enable it to become one of the top five smartphone makers by 2020 and help it make its way up to the top three by 2022. What we glean from the big reveal is that the aforementioned Honor-branded 5G smartphone is probably already in the works and it could be an early prototype.